The Centers for Medicare and Medicaid Services (CMS) recently released MLN Matters® Special Edition Article #SE1418, “Proper Use of Modifier 59”. This article is designed to provide education on how to properly use procedure code Modifier 59 (Distinct Procedural Service) for Part B claims to comply with National Correct Coding Initiative (NCCI) edits policy. In Example 9, which describes common Part B therapy services, CMS explains the proper use of Modifier 59 when the Manual Therapy procedure code 97140 is billed on the same day as the Therapeutic Activities procedure code (97530). While many AHCA/NCAL members were in D.C. for Congressional Briefing, the House Energy and Commerce Subcommittee on Health held a hearing focusing on payment reform across Medicare part A and B settings. The hearing, entitled “Keeping the Promise: Site of Service Medicare Payment Reforms” was held last Wednesday morning and features a long testimony by Mark Miller, executive director of MedPAC, followed by the statements of various providers, researchers, and their representatives. Miller’s testimony touched upon skilled nursing’s relative quality and value in relation to other PAC settings, though specifics were not mentioned. His written testimony, however, proposes that site neutral policies must be adopted, particularly given the patient treatment overlap between SNFs and inpatient rehabilitation hospitals (IRFs). Additionally, Rep. Schakowsky (D-IL) asked Miller about the use of observation status in hospitals, expressing concern about patients’ access to care following a three-day stay. Miller replied that MedPAC is “taking it seriously,” specifically suggesting that MedPAC is looking into creating a new payment classification within hospitals to avoid this loophole, though such data is not yet in final form and remains unavailable. AHCA’s Legislative team continues to work with Members of Congress and their staff as proposals for post-acute care bundling and site neutrality are gaining momentum on The Hill. The Internal Revenue Service (IRS) has just released a new Q&A that clarifies that employer cash contributions to help employees with the Affordable Care Act (ACA) Health Insurance Exchange plan costs will violate federal requirements and will result in significant employer penalties. Up to this point, many employers believed that they could help their employees pay for insurance with a tax-free contribution of cash to help pay for insurance through the Health Exchanges; but the IRS has just clarified that it considers such arrangements “employer payment plans” that do not comply with the federal law. Under IRS Notice 2013-54, these types of employer payment plans are considered to be a group health plan subject to the market reforms (including the prohibition on annual limits for essential health benefits and the requirement to provide certain preventative care without cost sharing). These plans cannot be integrated with individual policies to satisfy the market reforms. Consequently, this type of arrangement fails to satisfy the market reforms and the employer could be subject to a $100/day excise tax per each applicable employee (e.g., resulting in a tax penalty of up to $36,500 per year, per employee). The US Department of Labor (DoL) has issued a notice substantially identical to IRS Notice 2013-54, and US Department of Health and Human Services (HHS) will shortly issue guidance to reflect that it concurs with Notice 2013-54. 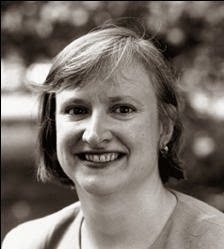 When Susan Eaton, Ph.D. (MIT-Sloan School Business & Labor Relations & Kennedy School) was coaxed by friends to put her labor and human resource research skills to work on behalf of the long term care community, she had no idea what she was in for! This work gave her the opportunity to explore the differences between low and high turnover nursing centers that draw from within the same labor pool and neighborhoods. What she discovered was startling! The critical element to staff stability could be summed up in one simple word, MANAGEMENT! This was the secret between the high and low turnover centers. She went on in 2002 to complete a Centers for Medicare & Medicaid Services (CMS) funded study, What a Difference Management Makes! sufficiency of staff and resources to care humanely. Using Dr. Eaton’s study, AHCA created “A Guide to Staff Stability for Leaders: A Competency-Based Approach” (member-only content; login required) which identifies the competencies leaders would demonstrate to support staff stability and reduce turnover. It is developed using a competency based approach which, essentially, identifies the knowledge, skill or attitude necessary to perform at the highest level in each of the five areas identified by Susan C Eaton. Centers that have used it cited it as a practical and versatile tool that can be used in many ways-from self-assessment to QAPI resource. If you have questions or would like to talk more about the resource, contact Marguerite McLaughlin. The ICD-9-CM Coordination and Maintenance Committee implemented a partial freeze of the ICD-9-CM and ICD-10 (ICD-10-CM and ICD-10-PCS) codes prior to the implementation of ICD-10, which would end one year after the implementation of ICD-10. On April 1, 2014, the PAMA was enacted, which said that the Secretary may not adopt ICD-10 prior to October 1, 2015. Accordingly, HHS expects to release an interim final rule in the near future that will include a new compliance date that would require the use of ICD-10 beginning October 1, 2015. The rule will also require HIPAA covered entities to continue to use ICD-9-CM through September 30, 2015. The partial code freeze will continue through October 1, 2015, the new planned implementation date. Regular updates to ICD-10 will begin on October 1, 2016, one year after the implementation of ICD-10. See Partial Code Freeze for ICD-9-CM and ICD-10 for more information. The 2015 ICD-10-CM and ICD-10-PCS files are now posted on the 2015 ICD-10-CM and GEMs web page and 2015 ICD-10-PCS and GEMs web page. There are no new, revised, or deleted ICD-10-CM or ICD-10-PCS codes. The 2015 ICD-9-CM files are now available on the ICD-9-CM Diagnosis and Procedure Codes: Abbreviated and Full Code Titles web page. Since there will be no ICD-9-CM updates, there is no FY 2015 addendum. There are no new, revised, or deleted ICD-9-CM codes. The 2015 General Equivalence Mappings (GEMs) will be posted later this summer. The last day that Recovery Auditors may send claim adjustment files to the Medicare Administrative Contractors (MAC) is June 1, 2014. As of June 2, 2014, only claim closure files may be sent to the MACs, by the Recovery Auditor. Because no additional reviews will occur under the current contracts, current Recovery Auditors will not be required to update the “New Issue” (“Approved Issue”) portion of their websites, as of June 2, 2014. However, Recovery Auditors shall continue to update the “Claims Status” portion of their provider portal, in a timely manner, until further notice. Recovery Auditors shall complete all Discussion Periods that are underway as of June 1, 2014. Recovery Auditors shall continue to accept new Discussion Period requests until June 30, 2014. All Discussion Periods initiated during June shall be completed. Recovery Auditors shall not accept new Discussion Period requests on or after July 1, 2014. Recovery Auditors shall continue to maintain their customer service areas (telephone lines and appropriately training staff) and process for escalating concerns, until further notice. Recovery Auditors shall continue to support the appeal process. Note: Medicare Administrative Contractor (MAC) processes will continue. Therefore, claims sent for adjustment, by a Recovery Auditor, on or before June 1, 2014 may complete the adjustment process on, or after, June 2, 2014. The Medicare Appeals process will also continue. Therefore, recoupments can occur, if a provider does not file a timely appeal (to the 1st or 2nd level of appeal), or receives an “unfavorable” decision at the 2nd level (QIC) of the appeals process. For more information regarding the RAC contractor procurement status and Part B therapy Manual Medical Review (MMR) process see our prior blog on the issue. Please contact AHCA's Dan Ciolek if you have questions. On May 22, the American Hospital Association (AHA) issued a press release announcing that they had filed a lawsuit against the U.S. Department of Health and Human Services (HHS) to assure that its Administrative Law Judges (ALJs) meet the statutory 90-day timeline requirement for deciding Medicare claim appeals. The ALJ represents level 3 of the 5-step Medicare claims appeals process. The AHA is joined in its suit by hospital plaintiffs in Arkansas, Tennessee, and Vermont. On February 12, OMHA conducted an all-day public forum to discuss agency initiatives to help mitigate the growing backlog, hear provider concerns, and to examine the causes and various ways providers can cope with the enormously lengthy delay for a provider’s appeal to be adjudicated ALJ level. After the OMHA public forum, AHCA issued a press release urging government action to resolve this growing issue. An updated May 20, 2014 table on the OMHA website indicates that the average ALJ appeal processing time continues to grow and, as of April 2014, increased to 418.7 days. Per the AHA press release, the plaintiffs allege that “excessive inappropriate denials by Recovery Audit Contractors (RACs) are the direct cause of the current backlog.” That AHA also alleges that the “perverse incentive” of the RAC contingency-based payments leads to excessive inappropriate denials that are typically overturned at the ALJ level according to the HHS Office of Inspector General (OIG). The AHA lawsuit seeks that the Court issue a “declaratory judgment that HHS’s delay in adjudication of Medicare appeals violates federal law” and to also compel HHS to comply with providing timely ALJ reviews within the statutory limit. AHCA continues to monitor this situation and develop strategies to support our members and the beneficiaries we serve as RAC denials have also increased the Part A SNF and Part B therapy claim appeals backlog. For further information, contact Dianne De La Mere at ddmare@AHCA.org. Expansion of successful demonstration for prior authorization for power mobility devices from the current 7 states (CA, FL, IL, MI, NY, NC, and TX) to an additional 12 states (AZ, GA, IN, KY, LA, MD, MO, NJ, OH, PA, TN, and WA). More info here. repetitive scheduled non-emergent ambulance transport. Proposal to begin prior authorization for certain durable medical equipment, prosthetics, orthotics, and supplies. The proposed rule is currently on display and will be published in the Federal Register on May 28, 2014. The deadline to submit comments is July 28, 2014. More info here. CMS claims that prior authorization supports the administration’s ongoing efforts to safeguard beneficiaries’ access to medically necessary items and services, while reducing improper Medicare billing and payments. The proposed rule is estimated to reduce Medicare spending by $100 to $740 million over the next ten years. A key aspect of implementing the employer shared responsibility requirements under the Affordable Care Act (ACA) is understanding whether each of your employees is full-time or not under the law. This calculation is important in determining whether an employer is a large employer and may be subject to penalties under the law. It is also essential in determining how significant the liability for those penalties may be. In this upcoming AHCA webinar, Nicole Fallon of CliftonLarsonAllen will explain how an employer can determine whether an employee is full-time or not using both the monthly measurement and a look-back measurement period safe harbor. You will have the opportunity to get your questions answered. In an upcoming AHCA webinar, Nicole Fallon of CliftonLarsonAllen will discuss the final employer shared responsibility rules published February 2014, including the transitional rules that are effective during 2014-2015 and the required information reporting employers will need to submit to the IRS. These rules govern the implementation of the employer requirements to either offer health insurance to their full-time employees or potentially pay a penalty under the Affordable Care Act (ACA). Numerous regulations have been issued in the past six months that will impact an employer's decision on whether to "Pay or Play" in the group insurance market. This webinar will help you prepare for these changes to your benefit practices. The Agency for Healthcare Research and Quality (AHRQ) has published a toolkit to help hospitals control and prevent Klebsiella pneumoniae carbapenemase (KPC), a highly dangerous, antibiotic-resistant germ. AHRQ funded leading KPC researchers to develop the toolkit, which hospitals can use to control and prevent KPC outbreaks in their facilities. 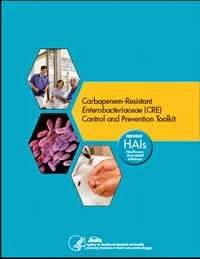 AHRQ’s toolkit, “Carbapenem-Resistant Enterobacteriaceae (CRE) Control and Prevention Toolkit,” helps organizations implement guidelines from the Centers for Disease Control and Prevention (CDC), which define what health care organizations should do to prevent KPC. The toolkit is available at www.ahrq.gov/cretoolkit. National Nursing Home Week (NNHW) 2014 comes and goes so fast we hardly have time to enjoy the success of it all. 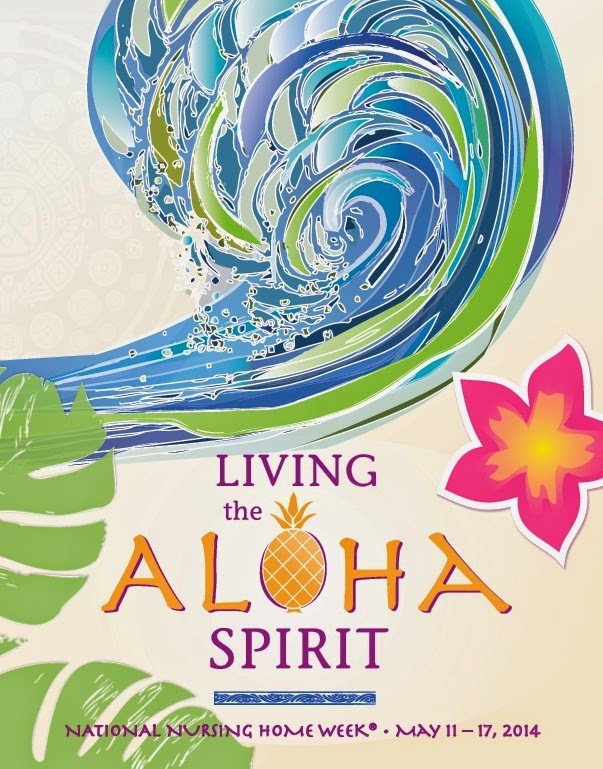 Nationally, AHCA witnessed an explosion of print media coverage and use of the theme’s graphic “Living the Aloha Spirit.” Affiliate newsletters aplenty (e.g. Hawaii) promoted the theme and the related themed-products sold out! The NNHW Facebook page now has nearly 5,000 “Likes” and this popularity increases every year, so forward the page to your friends and ask them to “Like” it for 2015. Speaking of Facebook, postings on the NNHW site are plentiful this year and we encourage you to visit the NNHW Facebook page and see what is going on across the country. While there, post some happenings from your facility (be sure you have all the right permissions). NNHW would also like to “Thank” the many organizations and FB sites, such as Therapeutic Recreation, which embraced NNHW 2014 and were truly partners in spreading news about it. AHCA is already working on a theme for NNHW 2015, which begins on Mother’s Day May 10, and promises it will be another upbeat celebration with many familiar cultural sights and sounds. Additionally, CMS reported a noticeable growth in managed care in FFY 2012, accounting for 6.6% of LTSS spending. To read the full report, please visit the CMS website on LTSS. Over 400 members of AHCA/NCAL will converge on Washington, D.C. this week to listen to Congressional speakers, visit their Representatives on The Hill, and advocate for long term care at the annual AHCA Congressional Briefing. The two day event will be attended by members from 47 states and the District of Columbia who have set up over 200 meetings with Members of Congress to discuss critical issues facing skilled nursing and assisted living centers. On the agenda for this year: quality, therapy caps, observation stays, and other concerns. The event also features appearances by many key players on Capitol Hill. Former Vice Presidential candidate and House Budget Chair Paul Ryan (R-WI), Senator Debbie Stabenow (D-MI), Congresswoman Shelley Moore Capito (R-WV), and Pulitzer Prize-winning Washington Post Columnist Charles Krauthammer addressed the group Tuesday afternoon. Senate Finance Chairman Ron Wyden (D-OR) is set to give the Wednesday keynote before members head to The Hill for their meetings. 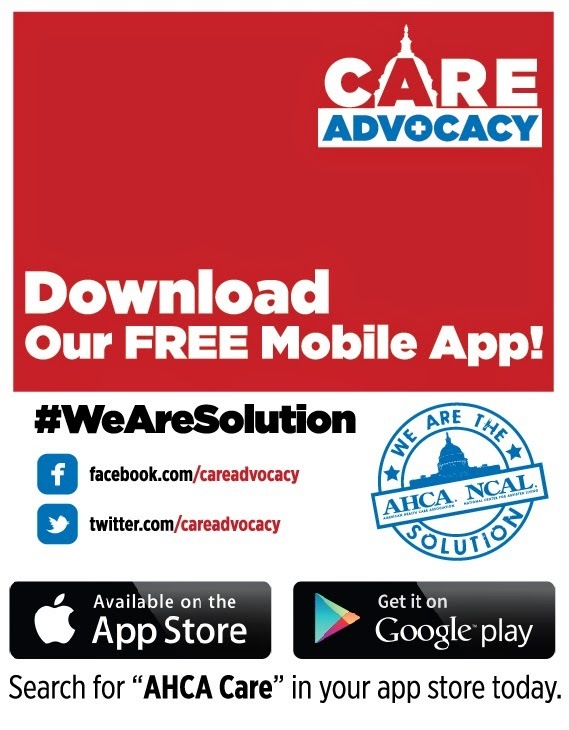 AHCA/NCAL’s advocacy team is also excited about the rollout of our new free Advocacy Mobile App. This year, Congressional Briefing attendees can access all their necessary advocacy information directly through their phones. AHCA’s issue briefs, congressional district data, Congressional profiles, and much more are all accessible right at your fingertips. You too can have this great resource: just search “AHCA Care” in your provider’s mobile store and download it today. The National Pressure Ulcer Advisory Panel has announced a scholarship for participation with the Support Surface Standards Initiative (S3I) for a two year period commencing in 2014 through the end of the year of 2016. The purpose of this two-year scholarship is to encourage participation in S3I by clinicians so that the standards development process has the benefit of clinical expertise and perspective. The scholarship funds are to be used for reimbursement of travel expenses associated with attending biannual meetings. The successful applicant may apply for one additional year of support. Candidates must be active in a clinical role or supervision of clinicians that provide bedside care for individuals “at risk” or requiring pressure ulcer treatment with therapeutic support surfaces. Please see scholarship application in the link below for more details. Please click HERE to view the NPUAP scholarship application. The House Ways and Means Health Subcommittee will hold a hearing on current hospital issues in the Medicare program, with an emphasis on the Centers for Medicare and Medicaid Services (CMS) two-midnights policy, short inpatient stays, outpatient observation stays, auditing and appeals. The hearing will take place on Tuesday, May 20, 2014, in 1100 Longworth House Office Building, beginning at 9:30 A.M. According to the Subcommittee’s hearing advisory, the hearing will touch on "all current issues relevant to hospitals in the Medicare program and specifically focus on the current incentives around short inpatient stays and the unintended consequences of those incentives such as auditing by RACs, a massive backlog of Medicare appeals and excessive growth of outpatient observation stays." Further details about the hearing can be found the Ways and Means Health Subcommittee website here. AHCA/NCAL plans to submit a written statement focused on the observation stays issue for consideration by the Committee and for inclusion in the printed record of the hearing. More information about observation stays can be found on the AHCA website. Recovery Audit (RA) contractors returned $1.9 billion to the Medicare Trust Fund in FY 2012, according to a recently released Centers for Medicare & Medicaid (CMS) report, Recovery Auditing in Medicare and Medicaid for FY 2012. The RA program identified $2.3 billion in overpayments. Taking into account the cost to run the RA program and the costs for the first two levels of the Medicare appeals process, the program still returned just under $2 billion to Medicare. In FY 2011, the RAs reviewed approximately 887,000 claims; and in FY 2012, the RAs reviewed 1,272,000 claims. Over 91 percent of the overpayments came from inpatient hospital claims according to the report. Earn valuable CEUs with education sessions that are designed just for you. As we gather near our hometown of Washington, DC at the Gaylord National Resort & Convention Center, plan your schedule so you can take advantage of a variety of special constituency education programs that take place throughout convention. Don’t wait, register early and save! The early bird registration continues through July 18. Recently, an AHCA member posed an interesting Part B therapy documentation and billing scenario related to the therapy Functional Reporting (FR) requirement to which AHCA asked the Centers for Medicare and Medicaid Services (CMS) to provide guidance. The CMS response was that in special situations, the therapist can amend the medical record at a later date. Functional reporting gathers data on beneficiary functional limitations during the respective Medicare Part B physical therapy (PT), occupational therapy (OT), or speech-language pathology (SLP) episode of care. CMS implemented the FR requirement in 2013 in response to the provisions of the Middle Class Tax Relief and Jobs Creation Act of 2012 (MCTRJCA).  On the DOS of the therapy discharge (exceptions may occur if data unavailable due to unexpected discontinuation of therapy). Each therapy discipline (PT, OT, and SLP) reports FR codes independently (e.g. they may have different reporting dates depending of the specific discipline’s plan of care). Although the FR G-codes themselves are non-payable, failure to submit the codes at the required reporting periods would result in payment denials for all payable therapy service codes for the therapy services during the noncompliance period. Therapists are required to document in the patient’s medical record the FR G-codes and severity modifiers that were submitted on the claim that were used to report the patient’s respective current, projected goal, and discharge status. For the severity modifiers, therapists should include a description of how the modifiers were determined. These requirements are applicable for each DOS for which the reporting on the claim is done. See a summary of the issue and the CMS response HERE. The US General Accounting Office (GAO) recently released a report, Medicare Fraud: Progress Made, but More Action Needed to Address Medicare Fraud, Waste and Abuse. This report considers the progress that the Centers for Medicare & Medicaid (CMS) has made in implementing key strategies previously recommended to protect the Medicare program from fraud but also determines what actions CMS must still take to make improvements. The report discusses that the Affordable Care Act (ACA) authorized, and CMS has implemented, actions to strengthen provider enrollment that addresses past weaknesses identified by both GAO and HHS, Office of Inspector General (OIG). For example, CMS has hired contractors to determine whether providers and suppliers have valid licenses and are at legitimate locations. CMS also recently contracted for fingerprint-based criminal history checks for high-risk providers and suppliers. CMS could, according to the report, further strengthen provider enrollment by issuing a rule to require additional provider and supplier disclosures of information and establishing core elements for provider and supplier compliance programs. The report also discusses how Medicare uses prepayment review to deny claims that should not be paid and postpayment review to recover improperly paid claims. The report finds that increased use of prepayment edits could help prevent improper Medicare payments. For example, prior GAO work identified millions of dollars of payments inconsistent with selected coverage and payment policies and therefore improper. Postpayment reviews are also critical to identifying and recouping payments. GAO recommended better oversight of both the information systems analysts use to identify claims for postpayment review, in a 2011 report, and the contractors responsible for these reviews, in a 2013 report. CMS has addressed some of these recommendations, but not all, according to the current report. Lastly, having mechanisms in place to resolve vulnerabilities that could lead to improper payments is critical to effective program management and could help address fraud. However, GAO work has shown weaknesses in CMS's processes to address such vulnerabilities, placing the Medicare program and its beneficiaries at risk. For example, GAO has made multiple recommendations to CMS to remove Social Security numbers from beneficiaries' Medicare cards to help prevent identity theft, and, while HHS agreed with these recommendations, the department also reported that CMS could not proceed with the changes for a variety of reasons, including funding limitations. The report states that to date, CMS has not taken action on these recommendations. CLICK HERE to obtain a copy of the complete GAO report. The US Department of Health, Office of Inspector General (OIG) has just released its updated List of Excluded Individuals and Entities (LEIE) database file, which reflects all OIG exclusions and reinstatement actions up to, and including, those taken in April 2014. The updated files are posted on OIG’s website at HERE and healthcare providers have an “affirmative duty” to check to ensure that excluded individuals are not working in their facilities or face significant fines. Instructional videos explaining how to use the online database and the downloadable files are available at the Health & Human Services Website HERE. Given the penalties and recent government warnings, long term care providers should check the LEIE on a regular basis. In March of this year, the Department of Labor Secretary Thomas Perez announced a five-year moratorium on enforcement of the affirmative action obligations of all TRICARE providers. Last week, the Office of Federal Contract Compliance Programs (OFCCP) issued the Directive officially establishing this five-year moratorium. According to a legal alert from FordHarrison, the Directive states that within 30 business days of the effective date of the Directive (May 7, 2014), the OFCCP will administratively close any open compliance evaluations of TRICARE subcontractors affected by the moratorium. It also provides additional information regarding the moratorium and the agency’s proposed outreach efforts during that time period. Additionally, the Directive provides guidance to TRICARE subcontractors covered by the moratorium who receive an OFCCP Scheduling Letter or Corporate Scheduling Announcement Letter. The FordHarrison legal alert includes a good summary of who is covered by the moratorium, and the scope of it. 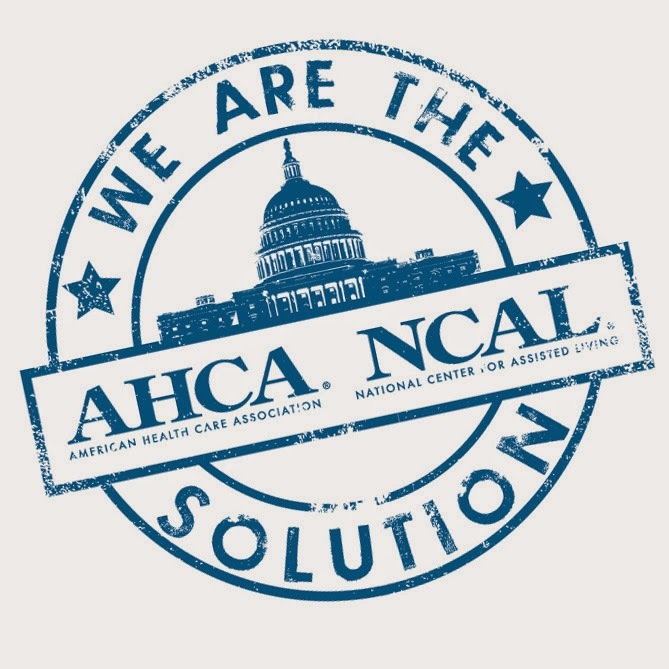 As noted in previous editions of Capitol Connection, AHCA/NCAL supports Rep. Tim Walberg’s legislation, Protecting Health Care Providers from Increased Administrative Burdens Act (H.R. 3633). This legislation clarifies that certain recipients of payments from the Federal Government related to the delivery of health care services to individuals shall not be treated as Federal contractors by the OFCCP based on the work performed or actions taken by such individuals that resulted in the receipt of such payments. OFCCP enforces the affirmative action and equal employment opportunity requirements that are written into the federal government’s agreements with government contractors or subcontractors. AHCA/NCAL believes it is important to advocate against any further expansion of the U.S. Department of Labor’s OFCCP’s jurisdiction. Implementation costs for initial compliance with OFCCP’s requirements could range from as much as $10K upfront and subsequent compliance could add an additional $5K annually. Microsoft’s decision to end technical support for Windows XP effective last month on April 8, 2014, could expose healthcare providers whose computers continue to use Windows XP to potential liability under the Health Insurance Portability and Accountability Act (HIPAA), according to some computer consultants and experts throughout the country. Microsoft also sent out an “end of support” notice stating that “Businessess that are governed by regulatory obligations such as HIPAA may find that they are no longer able to satisfy compliance requirements.” Consequently, most long term care and post acute care providers are currently conducting thorough security risk analysis (including an assessment of the potential vulnerabilities of the Windows XP operating system) and some are chosing to replace both Microsoft XP and/or Office 2003 due to the potential security risks. To obtain a copy of the Microsoft notice go Microsoft's Website Here. To read more about this on the Health and Human Services Website go to the OCR website HERE. Average annual growth in per capita personal health care spending for the elderly was 4.1 percent from 2002 to 2010, the lowest among any other age groups studied, according to a report by the Centers for Medicare & Medicaid Services’ Office of the Actuary released and published in the journal Health Affairs. The report found that growth in spending among groups over this time period varied, especially during the recent recession. However, the impact of the recession on the elderly is less clear. Per capita spending growth for this group in 2008–10 averaged just 2.4 percent annually, which was lower than growth for the other age groups. Slower Medicare spending and continued slow growth in spending for nursing care facilities and continuing care retirement communities contributed to the low rate of growth. Also, private health insurance spending per enrollee for those ages sixty-five and older grew slowly, at 3.0 percent annually over the period—the slowest growth rate of private health insurance among the major age groups. Out-of pocket spending per person for the elderly declined 0.4 percent annually over this period. Spending for children on a per capita basis grew more rapidly between 2002 and 2010 than the other groups; however, aggregate spending for children grew at the slowest rate at 5.7 percent as their share of the U.S. population declined. The report also found that personal health care spending for females ($7,860) in 2010 was about 25 percent more than males on a per capita basis, but the gap decreased from a peak disparity of 29 percent in 2004. Despite the lower rate of growth among the elderly, per capita spending by the elderly in 2010 ($18,424) continued to be about three times more than the average for working adults ($6,125) and five times more than children ($3,628). The Affordable Care Act, signed into law in 2010, includes a number of provisions designed to increase access to affordable health insurance coverage and slow the growth of health care costs. Future releases of this biennial series will include the effects on health spending data by age and gender. It will also take a look at the impact of the baby boomers entering into the elderly age group and becoming eligible for Medicare. The study will also research impacts of provisions such as the requirement for insurers to allow young adults to stay on their parents’ plans until age 26, expanded Medicaid coverage, and the implementation of the Health Insurance Marketplaces. An online appendix that accompanies the article describes how historical demographic trends are accounted for when analyzing Medicare spending. To access the data tables and read the sources and methods, visit CMS Report Statistics & Trends. 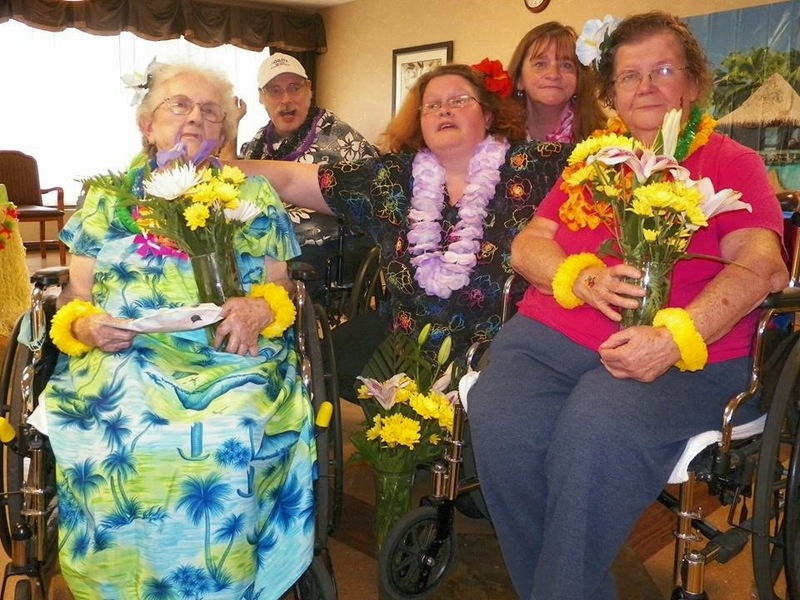 By now you probably know “Living the Aloha Spirit” is the theme for National Nursing Home Week (NNHW), which starts on Mother’s Day, May 11. Recall that by Living the Aloha Spirit, we show love and respect for all. We hope you show the community how your skilled nursing care center provides a harmonious environment for residents, patients, families, and staff. There are many fun ideas here about party tips, food, games, and music. Nursing Home Week is a way for today’s skilled care centers to communicate that they are light years beyond the days of may be thought of as “Grandma’s nursing home.” This is a time to rally with the profession to foster positive attitudes about long term and post-acute care centers. Members may directly submit nominees for two categories of the AHCA/NCAL Awards Program for the ID/DD Hero of the Year and the Not-for-Profit Program of the Year (NFP) awards. Nomination packets are here. The deadline to submit nominations is 10 p.m. EDT, May 15, 2014. Honorees in these categories will be recognized at AHCA/NCAL’s 65th Annual Convention in October near Washington, D.C. The ID/DD Hero of the Year, organized by the ID/DD Committee, honors those people who have shown commitment, dedication, and compassion in serving persons with intellectual and developmental disabilities and their families. The NFP Program of the Year, supported by the NFP Council, honors a community that has implemented innovative approaches to create a person-centered environment or other resident practices or a center’s activities that enhance the lives of individuals residing outside the facility. Last week, the US Department of Health and Human Services, Centers for Medicare & Medicaid Services (CMS) told participants at the American Health Information Management Association (AHIMA) ICD-10 Summit that Congress’ move to delay the ICD-10 transition until October 1, 2015, was a surprise to CMS, and the delay had been difficult for the agency. Prior to Congress’ action (where it passed the short-term Sustainable Growth Rate patch with a provision delaying the implementation of ICD-10), CMS Administrator, Marilyn Tavenner, had gone on the record stating that ICD-10 implementation would not be delayed beyond October 1, 2014. The agency had planned for limited end-to-end testing in July 2014 with a select group of providers and others, and had just started a provider outreach initiative focusing on small providers. CMS will have to tell providers soon (expecting an interim final rule in the near future) exactly how it intends to proceed with the implementation of ICD-10. In the meantime, it’s important for providers to take advantage of the extra year for implementation and prioritize the most critical areas of focus to ensure adequate preparation in 2015. A number of health insurance plans have been designed and introduced to the health insurance vertical. For providers and physicians, these exchange plans will impact their managed care landscape and can have significant implications for their future reimbursement terms and potential access to patients. Every provider needs to have an in depth knowledge before they enter into exchange patient care. They need to know who will be paying for patient care along with some key regulations incorporated by the payers on the providers. You will need to understand the billing and reimbursement terms before accepting exchange patient care. Also, there could be a number of unknown terms and conditions applied by the payers which the provider is unaware of. All these areas need to be studied and researched carefully beforehand. This session is geared towards the preparation and research which needs to be in place before accepting contracts for exchange patients. To view the webinar agenda, instructor profile, and to register, please click here. If you have any questions relating to the Affordable Care Act (ACA), please submit them to insurancecoverage@ahca.org, and be sure to check out AHCA/NCAL’s ACA website. Last week, the Administration announced updates to model notices informing workers of their eligibility to continue health-care coverage through the Consolidated Omnibus Budget Reconciliation Act (COBRA). According to a May 2 Centers for Medicare and Medicaid Services (CMS) press release on the issue, the updates make it clear to workers that if they are eligible for COBRA continuation coverage when leaving a job, they may choose to instead purchase coverage through the Health Insurance Marketplace. The press release mentions that workers and their families who are eligible for employer-sponsored coverage generally must be informed of their right to COBRA continuation coverage at the start of employment. They must also be informed of their right to purchase COBRA coverage when separating from a job. The proposed changes to the model notices would offer information on more affordable options available through the Marketplace, where workers and families may be eligible for financial assistance that would not otherwise be available for COBRA continuation coverage. In most cases, workers and their families eligible for, but not enrolled in, COBRA continuation coverage would be able to enroll in Marketplace coverage outside of the normal open enrollment period. The Departments of Labor (DOL), Health and Human Services (HHS), and Treasury are publishing frequently asked questions related to the proposed changes to model notices. The FAQs are posted on the DOL website and the CMS website. In addition, HHS is publishing a clarifying bulletin regarding a special enrollment period in the Marketplace for individuals already enrolled in COBRA continuation coverage. The bulletin can be found here. The updated model notices are posted on the DOL website, and can be found by clicking here and here. A related notice of proposed rulemaking on the COBRA notice requirements will be published in the May 7 edition of the Federal Register. The notice of proposed rulemaking can also be viewed here. The Senate Judiciary Committee held a hearing last week that touched on a 40-year old law affecting medication access for those staying in skilled nursing facilities. Senator Sheldon Whitehouse (D-RI) chaired the hearing Wednesday on oversight of the Drug Enforcement Administration (DEA). Michele Leonhart, Administrator of the DEA, testified. AHCA is actively working with Sen. Whitehouse and other members of the committee on the nurse agent issue. During the hearing, Whitehouse asked Leonhart about an 80 year-old-woman staying in a SNF who needs access to her pain medication and who that woman’s medical advocate was within the center. Leonhart replied that the comment period built in to agency rule making allows for those concerns to be heard. Current DEA enforcement practices restrict nurses’ ability to prescribe and dispense critical medications to those receiving skilled nursing care. Created decades ago, the regulations do not take into account the shorter-term, rehabilitative care that skilled nursing centers now provide. Though the Controlled Substances Act permits a practitioner, such as an off-site physician, to rely on an agent to handle medical issues for a patient, the DEA recognizes no such relationship for long term care nurses. Additionally, Senator Amy Klobuchar (D-MN) also asked about a pending drug disposal rule, which she noted many have been waiting on for years. Leonhart stated that they just received questions back from the Office of Management and Budget (OMB) on the proposed rule and have resolved all but one question. Once the question is resolved, the rule will be issued. AHCA staff recently met with OMB and other interested parties about the rule and will continue to keep members updated on its status. 4) improve existing safeguards to prevent payments to deceased beneficiaries. 3) Strengthen the Medicare contractor’s monitoring of pharmacies and its ability to identify for further review pharmacies with questionable billing patterns. 3) CMs should seek a legislative change to increase the time between Medicare Administrative Contractors (MAC) contract competitions to give CMs more flexibility in awarding new contracts when MACs are not meeting CMS requirement. To obtain a complete copy of the testimony go to HHS Website. The Centers for Medicare and Medicaid Services (CMS) recently released an extensive and long-awaited report on Medicare Part B therapy payment alternative options. The Developing Outpatient Therapy Payment Alternatives (DOTPA) project began in 2007 and had two main identified purposes: 1) to identify, collect, and analyze therapy-related information tied to beneficiary need and the effectiveness of outpatient therapy services, and 2) to explore payment method alternatives to the current financial caps on Medicare outpatient therapy services. AHCA members participated in this project as volunteer study data collection facilities, as well as through representatives participating in DOTPA Technical Expert Panels (TEPs). The following DOTPA reports are currently available are on the CMS website—the DOTPA Payment Alternatives Report and DOTPA Final Report. The Payment Alternatives Report details results of the exploration of payment alternatives for Medicare outpatient therapy services. The Final Report summarizes the overall results, lessons learned from the DOTPA project, and possible directions for future research. In addition, the DOTPA CARE-C and CARE-F Assessment Forms used to collect items of information on the DOTPA patient sample are also available. Find these reports and additional information on the DOTPA web page. The Payment Alternatives Report introduction states that "The research presented here does not aim to provide a completed, finalized model for a new payment system. Instead, selected characteristics that exist for an alternative payment system are discussed within the context of this diversity." AHCA staff and members are currently reviewing the reports and will integrate the report findings and conclusions within our ongoing efforts at repealing the Part B therapy caps and reforming the overall payment policy. Our dear friend Jan Thayer passed away peacefully on Saturday, May 3 following a heroic battle with cancer. Jan held several leadership roles in AHCA and NCAL, including chair of NCAL, and she was President of the Foundation for the Future of Aging at the time of her passing. Jan was deeply admired and was a mentor to countless past, current and future leaders of both AHCA and NCAL. She was often referred to as the “grand dame” of NCAL by her association friends – a tribute to her constant wisdom and elegance. Jan’s professional motto was “to deliver the same care that you would provide for your own mother,” and it was a motto she lived by for the 25+ years she owned and operated Riverside Lodge in Grand Island, Nebraska. She also presided over a development group that specialized in developing and managing affordable senior apartments and family homes in the Midwest. Her career began in the 1960s as a dietician. She held numerous leadership positions in that field before entering the long term care profession in the 1980s. In addition to the leadership roles she held on the national level, she also held leadership positions in the Nebraska Health Care Association and other Nebraska health care organizations, including serving on the Board of Directors of the Nebraska Medical Center since 1997. 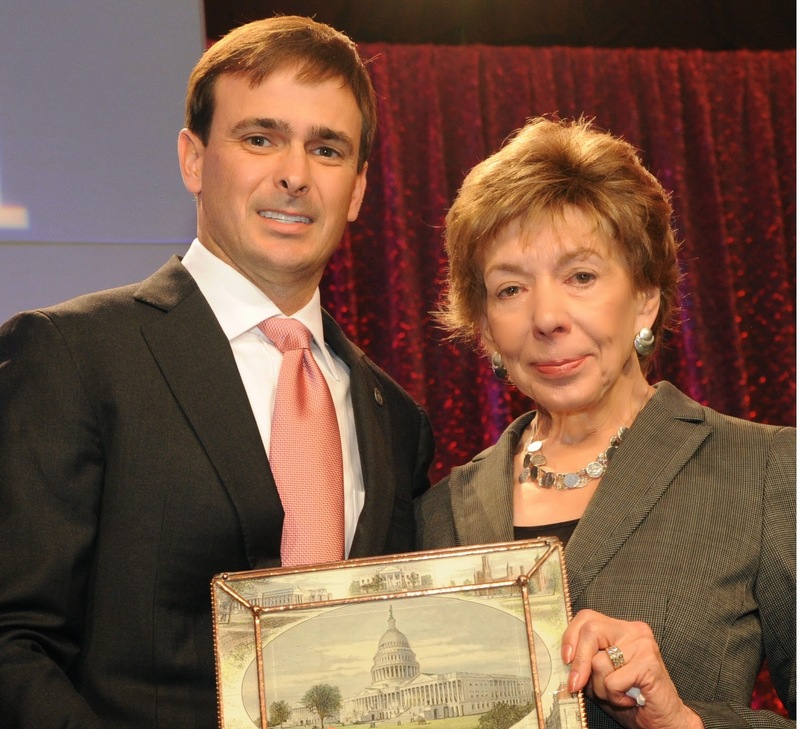 In 2012, AHCA Past Chair Neil Pruitt presented Jan with the association’s prestigious “Chairman’s Award,” – the highest honor that an AHCA/NCAL association member can receive. It was one of more than a dozen distinguished honors that Jan received in her lifetime. Jan was an enthusiastic fan of the Nebraska Cornhuskers and was proud of the tailgate parties her residents and staff held at Riverside Lodge on game days. She is survived by her husband, Ernie, three sons and several grandchildren. She will be deeply missed. Visitation is at All Faiths Funeral Home from 5 pm – 7 pm, on Wednesday, May 7th. Her funeral is at 1 pm on Thursday, May 8th at Peace Lutheran Church in Grand Island. The Affordable Care Act (ACA) established Accountable Care Organizations (ACOs) as a new way to organize providers around managing the delivery of care for a defined population of Medicare beneficiaries. As these new ACOs begin to emerge and mature, they are actively seeking stronger relationships with post-acute care providers, especially skilled nursing facilities. This webinar will provide a comprehensive overview of the ACO environment and discuss current trends in provider contracting. In addition, the presenters will present the “ACO Contracting Guide,” a new tool developed by AHCA for members to use in their own negotiations with ACOs. Speaker Jan Murray will discuss “best practices” in SNF-ACO contracting to help members avoid common pitfalls and position them for success. 1. Learn about the current and future trends in ACO development and contracting. 2. Gain a deeper understanding of the regulatory environment of ACOs, and be able to position your organization as an attractive partner to an ACO. 3. Gain familiarity with AHCA’s new ACO Contracting Guide and learn how to use the tool in SNF-ACO contract negotiations. In this fascinating program, you will have the opportunity to hear two unique stories of communities, in two separate counties, that put INTERACT to work to improve care. First you will hear how a community worked together to develop INTERACT with their local hospital. This impressive story shares how a combined group of nursing centers worked together on implementation despite being competitors. Additionally, a second group in another County, worked on implementation by creating a change package for a Collaborative. Through a remarkable mentoring program with an "All Teach, All Learn" structure, those with more advanced skills in using INTERACT tools became mentors to other organizations, helping the community to create better care. In this valuable educational program you will see that the best way to be successful is to work together! Mark your calendar! Leading the Charge for Compassionate Care: A Day for Intellectual and Developmental Disabilities (ID/DD) Residential Services Providers will be held on Sunday, October 5, 2014, during AHCA/NCAL’s 65th Annual Convention & Expo at the Gaylord National Harbor just outside of Washington, D.C. This constituency education program for ID/DD providers is packed with motivational and educational speakers. 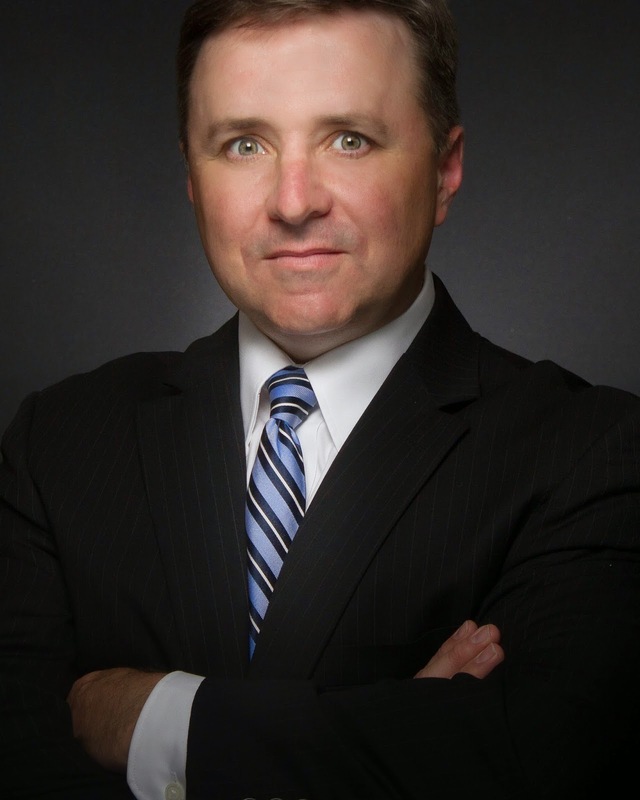 Tony Decker, VP of Westcare Management Inc., Salem, OR (pictured), is the keynote speaker, and will explore and examine with attendees the conditions necessary for meaningful life and the significance of being a doer more than a receiver. Visit our convention website to register for this day dedicated to ID/DD providers and access the full agenda. If you have any questions about this exciting event, please contact AHCA’s Senior Director for Not for Profit & Constituent Services. Oh, that vexing vicious cycle of turnover! You know the one. It creeps into your organization quietly at first and within a short amount of time, it owns you. It begins to gobble up valuable time and money; resources that you cannot afford to lose. Adding to the burden is recent information that finds that higher levels of turnover in skilled nursing care centers are associated with lower quality of care (Castle & Anderson, 2011). Good news! AHCA can help! Over the past several years the hardworking members of AHCA’s Workforce Committee have developed a toolkit that has shown significant promise in helping to turn around turnover issues. They sought out an impressive group of experts to determine where an organization can get their “biggest bang for the buck” in reducing turnover. After discussions with the Studer group, the team understood that the key element to staff stability was... a strong retention program. With that in mind, they set out to develop resources and strategies based on those recommendations. The results: a sleek, streamlined kit containing four key strategies and accompanying resources to strengthen retention. The four strategies are hard hitting approaches that guide the process to gain and keep new employees. Knowing the right questions to ask during the interview, including staff in hiring, reviewing the performance and “fit” on a 30, 60 and 90 day basis and “rounding” are the four strategies that can actually turnaround your turnover problem. Below are the strategies. Included is a webinar available on-demand to show you how to use the kit and a calculator to measure the cost of turnover for your organization. AHCA members can download each section of the toolkit on our Quality Initiative Staff Stability page. Help staff invest in the selection process and support for new hires, and help managers gain more insight into the candidate’s personality. Use behavioral-based interview questions to identify candidate competencies needed for the position and to gain an accurate impression of the candidate. This section identifies how regular employee visits made by the administrator and supervisor, in the employee’s work space, fosters staff job satisfaction while saving managers time. The Cost of Turnover Calculator offers providers a method to calculate a facility’s expenses associated with turnover and to determine savings based on targeted improvement. Even if you don’t have a turnover problem, these four practices can strengthen your organization and its hiring process. The first days and months of a new employee's experience are critical to your ability to keep them. The Four Strategies Toolkit can help you do that. Be sure to mark your calendar for this teleconference tomorrow. Encore is an audio recording of this call that can be accessed by dialing 1-855-859-2056 and entering the Conference ID beginning 2 hours after the call has ended. The recording expires after 2 business days. For ODF schedule updates and E-Mailing List registration, visit website at http://www.cms.gov/OpenDoorForums/.